CNL, EPR, Vail Resorts- Who owns what ski resorts? November 4, 2017 / Family Ski Trips / Comments Off on CNL, EPR, Vail Resorts- Who owns what ski resorts? Are you ready for the latest in mountain mergers and alpine acquisitions? Vail, Aspen, CNL, Boyne… who owns what? Here is our ski merger and acquisition guide! Vail Resorts now owns or at least operates 16 ski resorts, and half of the 10 busiest ski areas on the continent, the top three being Whistler Blackcomb, Vail, and Breckenridge. All these ski resorts are on the Epic Pass, plus Telluride Colorado! Vail Resorts also holds the RockResorts brand, with luxury ski lodging properties including The Lodge at Vail, The Arrabelle at Vail Square, The Pines Lodge and The Osprey at Beaver Creek , One Ski Hill Place at Breckenridge, and the Grand Teton Lodge Company in Jackson Hole, Wyoming. 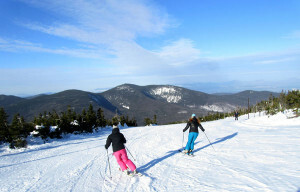 The Ikon Pass includes all these Alterra Aspen ski resorts, plus Boyne resorts: Big Sky Montana, Snoqualmie Washington, Loon in NH, Sunday River and Sugarloaf in Maine, and Powdr Resorts: Killington Vermont, Crotched Mountain in NH. 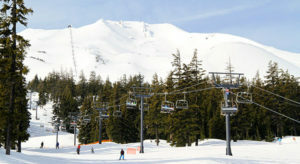 Ski Las Vegas, Mount Bachelor Oregon, and independent resorts Alta Ski Area and Snowbird in Utah, and Jackson Hole Wyoming. Finally, EPR Properties of Kansas City recently bought up a dozen ski resorts from CNL Lifestyle Properties, for $830 million. Winter is coming ski friends…see you on the slopes soon!